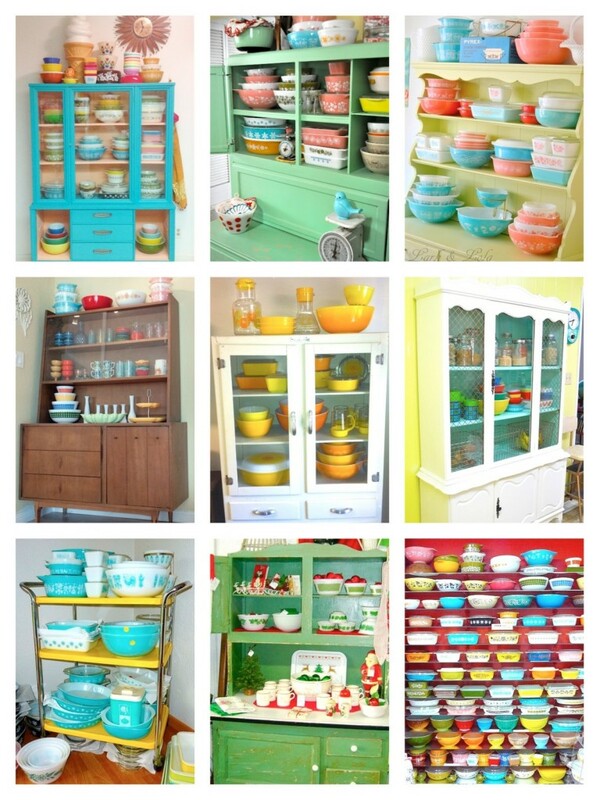 Loving all these amazing vintage Purex, Jadite, Fireking and more vintage dishes and kitchenware in these beautiful vintage hoosier cabinets and hutches. We have a Danish Mid-Century cabinet in mind…. I’ll share pics soon! !